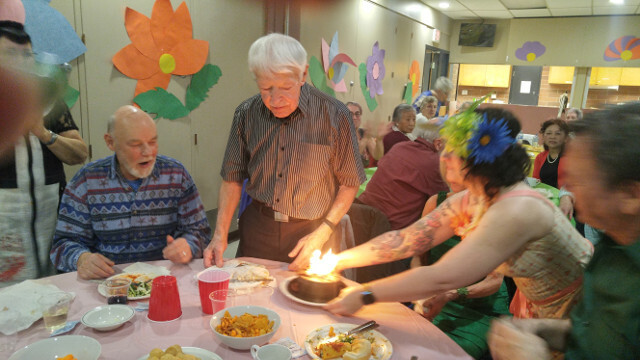 Peter Madsen, one of our Society members, turned 100 on March 10, 2019. We celebrated with him at our pub night on the 9th, he told us he is still a spring chicken! 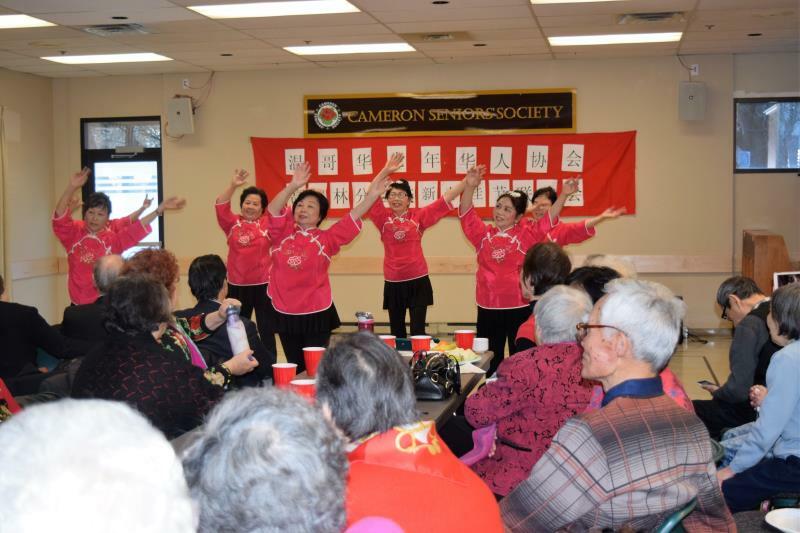 The Chinese Dancers Activity Group met in January for a New Year Celebration. 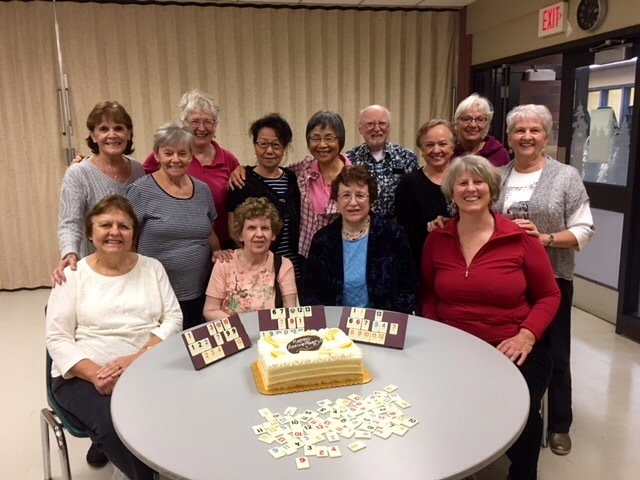 They enjoyed entertainment provided by members of their group. 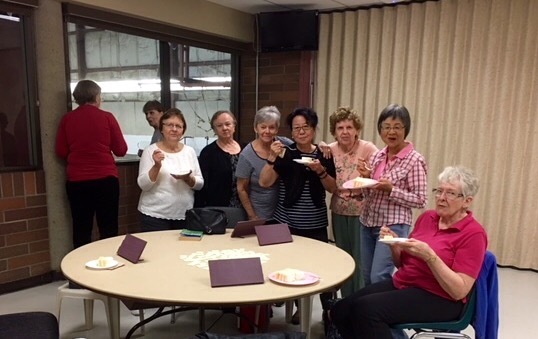 The Chinese Dancers group meets on Friday mornings, 9:00-11:00am. Fan Tai Chi meets on Wednesdays 9:00-10:15am. 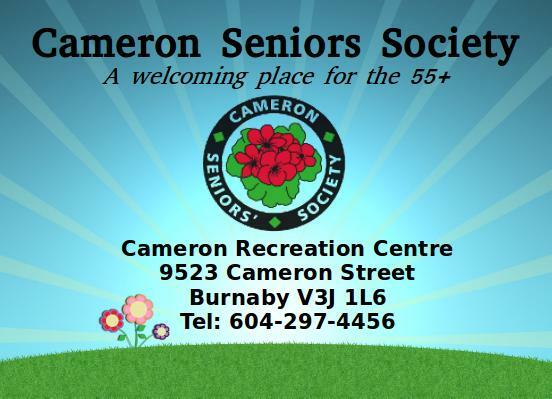 These activities provide healthy, friendly and fun activity for many of our members. 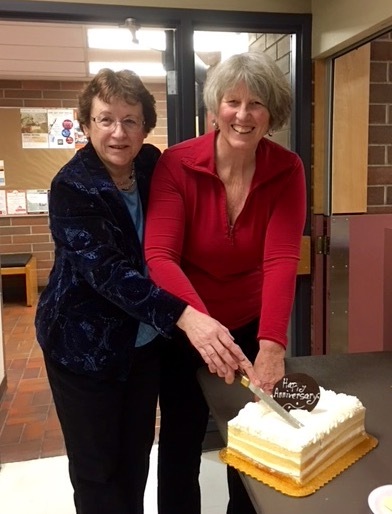 Thank you to their leader, Hui Di Zheng, and volunteers, for organizing this celebration. 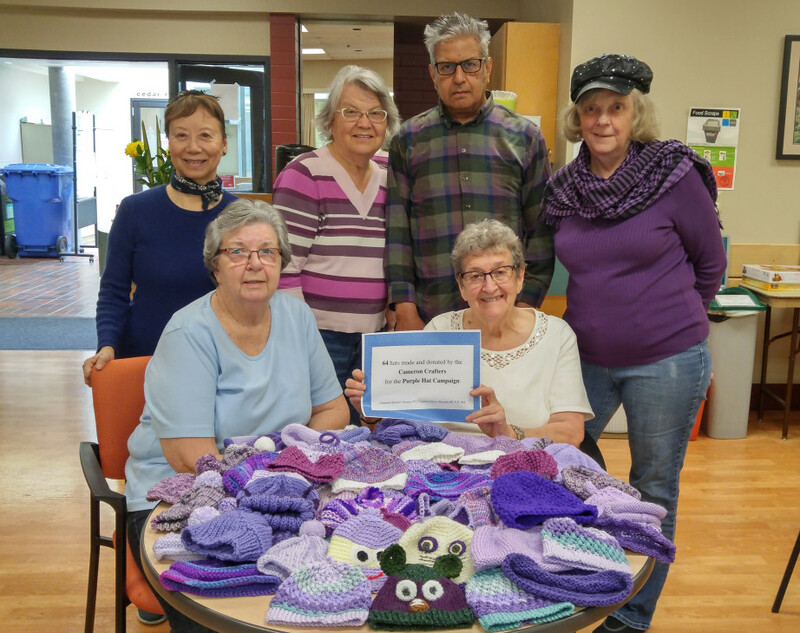 Made and donated by our Cameron Seniors Crafters for the PURPLE Hat Campaign to raise awareness of the shaken baby syndrome.